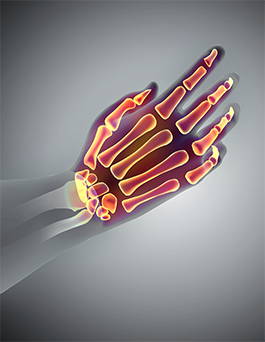 What is the Hand Arm Vibration Syndrome? The Hand Arm Vibration Syndrome is recognized as a serious work-related disorder, which is affecting thousands of industrial workers. It is represented by damage to blood vessels, nerves, muscles and joints of the wrist and arm caused by intensive and repeated vibration exposure. This exposure comes from working with vibrating tools or holding shaking materials. Early symptoms: Repeated loss of feeling, numbness, in the fingertips and sensation of needles in the fingers, tingling, are early indicators. These sensations can come and go and are not proof of HAVS, but should be seen as early warnings. Later symptoms: Later, more severe symptoms are often felt like permanent numbness of fingers, causing difficulties in daily life when handling small objects or when buttoning for example. When getting cold or wet, the fingers will often react by becoming white, then red while being painful. This is called the Raynaud's phenomenon, and is also common in hand arm vibration syndrome cases. According to a Japanese long-term study on forest workers using chainsaws (Nagoya, 1994), there is a strong relation between the number of years of exposure and the prevalence of HAVS. Among the workers over 50 years of age, 38% showed signs of this syndrome. US National Safety Council estimates that about 2 million U.S. workers are exposed to hand-arm vibration today, and as many as half could develop HAVS (read full article). Limit time per work shift with strong vibrations uptake. With applications giving strong vibrations, the operator can reach a potentially harming vibration dose within minutes. For reference, with an application that gives 20 m/s² of vibration to the operator’s hands, the exposure corresponding to the action value, (the value where the employer needs to take actions to limit vibrations), is reached after only 8 minutes. Hold the tool loosely, do not squeeze the handle when not necessary.